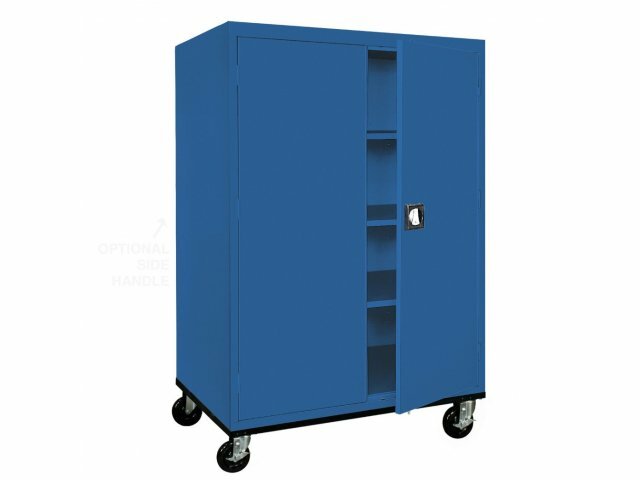 These Fully-Welded Mobile Steel Storage Cabinets combine heavy-duty construction with the convenience of mobility. 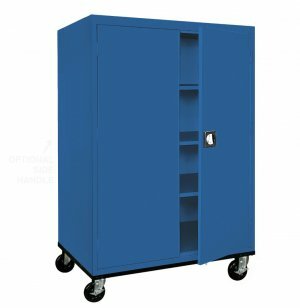 Heavy-gauge steel shelves with large load capacity distributed evenly per shelf. Shelves adjust on 2" increments. Four Heavy-duty 5" casters, 2 locking. Locking doors with chrome handles includes two keys.